Portland Community College managed to reduce energy consumption by 65 percent since 2006. Portland Community College is doing its part to combat climate change, and national organizations have taken notice. The state's largest college recently won the annual Second Nature Climate Leadership Award for two-year colleges. The honor recognizes innovative and advanced leadership in sustainability, climate mitigation and resilience at signatory campuses of the Presidents' Climate Leadership Commitments. Second Nature and the U.S. Green Building Council (USGBC). "This is a big deal, since the network includes hundreds of member institutions leading the charge in climate action," said Briar Schoon, PCC's sustainability manager. "We are honored to have won this award, which validates the great work PCC is doing to advance sustainability and affect positive change." PCC has done its part to reduce pollution and energy use, Schoon said. The college has managed to reduce energy consumption by 65 percent per square foot since 2006; boasts nine LEED-certified buildings, including a net-zero LEED Platinum center in its portfolio; and has three solar installments totaling more than 700 kilowatts. All of these efforts support a Climate Action Plan created and signed in 2013. The goal is to reduce the college's carbon footprint and "promote healthy, equitable systems." 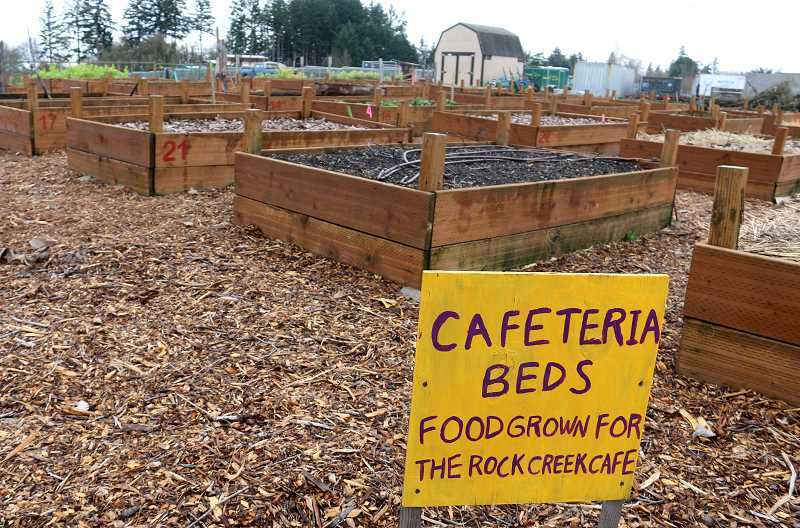 ¦ Implemented innovative waste-reduction strategies like a closed-loop organics system at Rock Creek and a self-servicing mini trash bin program college-wide. "Many organizations don't even look at these emissions because they're too difficult to tackle, but PCC is taking the challenge head-on," said Schoon. Second Nature has offered its awards in partnership with the USGBC since 2015. Award winners are recognized as part of the Greenbuild Leadership Awards Program, which offers global publicity opportunities. Second Nature is the largest organization working to advance climate solutions in higher education. PCC's President Mark Mitsui sits on the steering committee, and PCC reports its climate progress to Second Nature annually. "By prioritizing sustainable practices and environmental literacy as part of their mission, Loyola University Chicago and Portland Community College are leading the charge in mitigating climate change and fostering well-rounded and informed global citizens," said Jaime Van Mourik, vice president of Education at USGBC. "We are thrilled to recognize this year's winners, honorable mentions and finalists for their dedication to creating a strong culture of sustainability and stewardship in higher education, and encouraging others to follow in their footsteps." PCC has become a leader in the field of sustainable purchasing. In 2013, the college was invited to be a founding member of the Sustainable Purchasing Leadership Council, a national nonprofit that convenes buyers, suppliers and public interest advocates to develop programs that simplify and standardize sustainable purchasing. PCC is one of five schools and the nation's only community college serving on the Founders Circle. PCC is also a founding member of the Greater Portland Sustainability Education Network, a UNU-IAS Regional Center of Expertise on Education for Sustainable Development, helping implement Agenda 2030 and the U.N. Sustainable Development Goals. The college hosted this year's annual Sustainability Symposium. And finally, PCC was given the APPA: Leadership in Education Facilities with the 2016 International Sustainability Award in 2016. The award is designed to recognize and advance sustainability excellence in educational facilities and to applaud the integration of sustainable policies and "green" practices throughout all facets of an organization.